You're in love. It's a beautiful feeling, isn't it? The world looks pink through those rose-colored glasses, and everything is just how it should be. Let your love know how much pleasure you feel, by sharing your feelings in a love letter. Worried you might not be the best writer? Don't. Instead, learn how to write a love letter that works with these tips from WhiteSmoke, your ultimate writing solution. One of the most important things to remember about how to write a good love letter is how it will look. Use the nicest pen and paper you can find. Impress your love with a classy color of ink, and paper with a sumptuous feel and look. The higher quality materials you use, the higher your chances of impressing the one you love. After you choose the best stationery for writing your love letter, choose a tender way to open the letter. Don't write like you would in a business email, using a stuffy and formal To Whom It May Concern. Instead, try something like My dearest ____ or Darling____. And don't forget to use the right name! It may sound silly, but plenty of starry-eyed lovers have unimpressed the objects of their affection by writing to the wrong person. Okay, the stage is set. You've got beautiful paper, smooth ink, and a great opening. Now comes the core of your love letter! Here is where you pour your heart out. 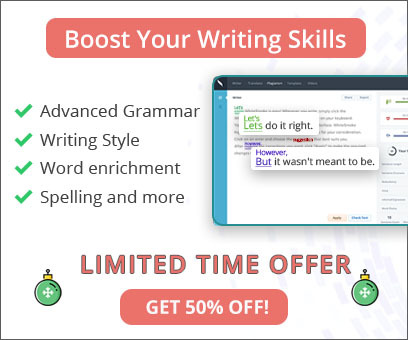 You can finally abandon the English lessons you learned about writing a thesis statement and perfect paragraphs. This is all about raw emotion, so tell your love how you feel. Don't be shy! Tell her all the ways she makes you the happiest man on earth. List all of her virtues, and describe just how beautiful she is in your eyes. Every word here is important, so pay attention to details. Finally, wrap up your love letter with a closing just as sweet as your greeting, to seal in your love's heart and mind just how much you're affected. If you're stuck with how to write a great love letter or love poem, even after reading these tips, you can use one of WhiteSmoke's love letter templates. And whether or not you show your pearls of love in your own letter or one you took from a template, you still need to proofread if you want to know how to write the perfect love letter. Use WhiteSmoke's English grammar check, spelling check, and punctuation check to eliminate any chance for misunderstanding. 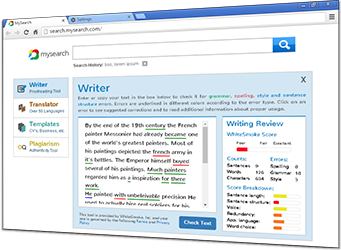 Get help finding the perfect words for your feelings using WhiteSmoke's online dictionary and thesaurus with thousands of definitions and synonyms. Enrich your message using this smart writing software, and impress your love with the best love letter ever written!